As at 30 June 2018, JLIF had an investment portfolio of 65 infrastructure projects sourced from both third party vendors and John Laing Group. The portfolio provides sectoral and geographic diversification, comprising jurisdictions that are regarded as fiscally strong and are committed to the PPP procurement model. The project involves the design, build, finance and operation for new build premises and refurbishment of all the existing estate on the All Saints Hospital and Highcroft Hospital sites in north Birmingham. 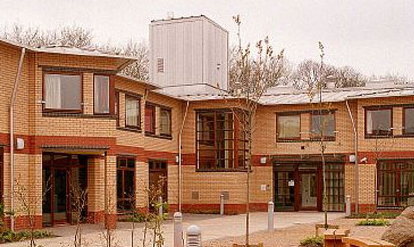 The project premises comprise seven specialist mental health facilities catering for the provision of low and medium secure mental health care services. IIC BY Education (Peterborough) Schools Ltd, the project company, has contracted with Peterborough Schools to design, build, finance and operate an academy and two secondary schools and one primary school in Peterborough under a 24 year concession which runs until 2037. The project involves the Design, Build, Finance and Operation of two new police stations in West Ham and Tottenham Court Road, as well as the operation and management of a further five existing stations across London. This is under a 23-year concession which runs until February 2022. The project involves the extension of the City Greenwich Lewisham DLR Link from the Isle of Dogs to Lewisham under a concession that runs until August 2043. The project involves the design, build, finance, maintenance and operation of 47,000sqm of office accommodation, 700 parking spaces and 9,000sqm of public gardens. The building is occupied by the National Centre for Student Registration as well as the regional Tax Office. The 20 year operating concession covers all facilities management services and lifecycle responsibilities. Regenter Myatts Field North Limited, the project company, has contracted with the London Borough of Lambeth for the refurbishment of 172 properties and the design, build, finance and operation of 808 new properties, community centre and park under a under a 25 year concession which runs until 2037. The 25-year PPP contract involves the replacement of 90% of the street lighting apparatus in the London Boroughs of Croydon and Lewisham, and the ongoing operations and maintenance of 48,000 lighting points.